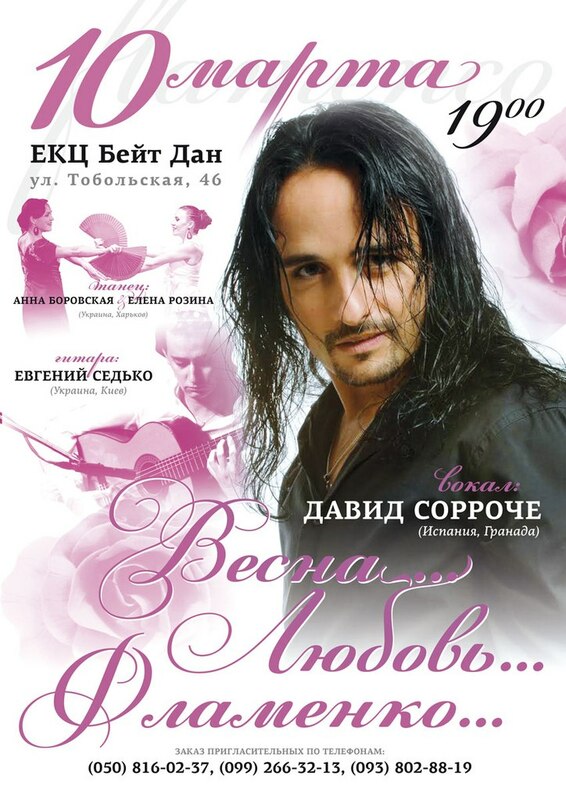 You can subscribe on news about my CDs or my concerts in your city. 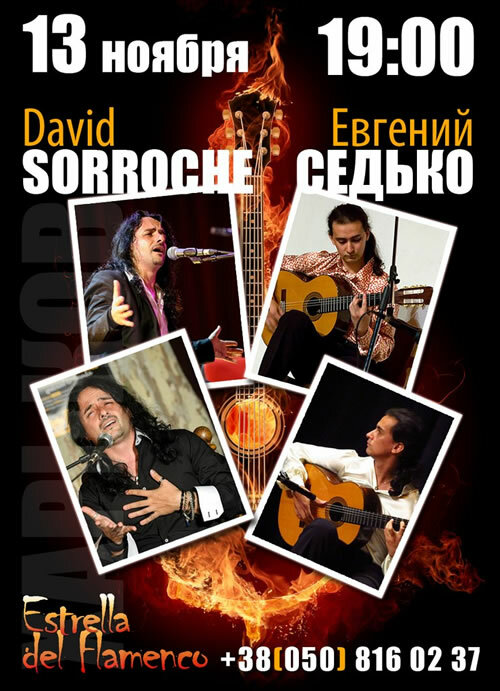 Flamenco guitar solo concert Spanish music with candles in Educatorium gallery (Kyiv, UA). 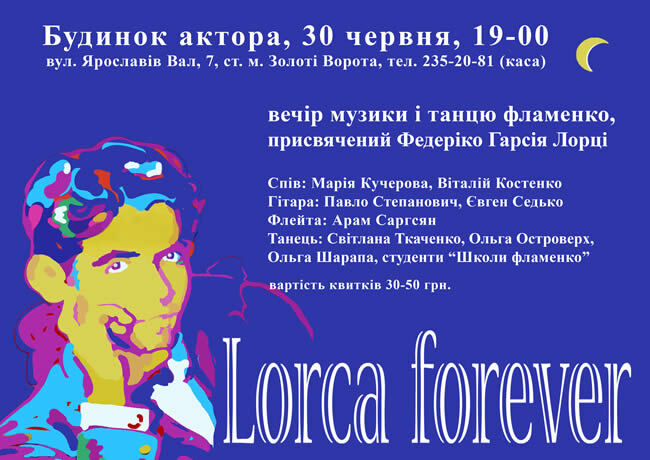 Solo concert La Musica Española in Educatorium gallery (Kyiv, UA). 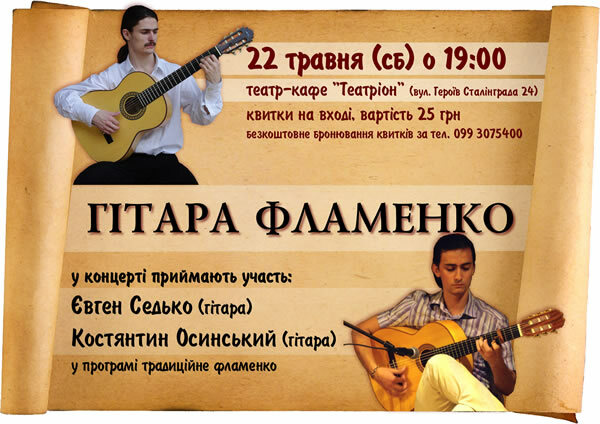 Flamenco music and dance concert "EL PATIO"
Solo guitar concert in MICHI center (Kyiv, UA). 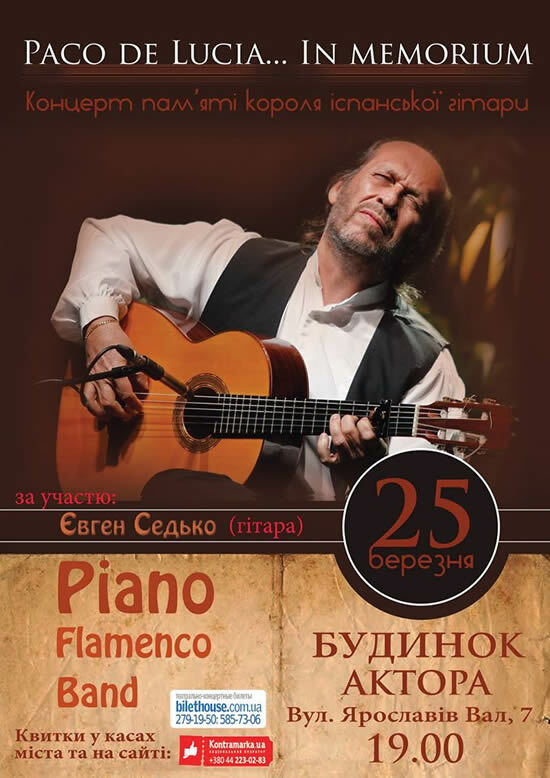 Performance with Piano Flamenco Band in the flamenco concert "Viva España"
Performance on MIR GRAD guitar festival (Myrhorod, Poltava region, UA). 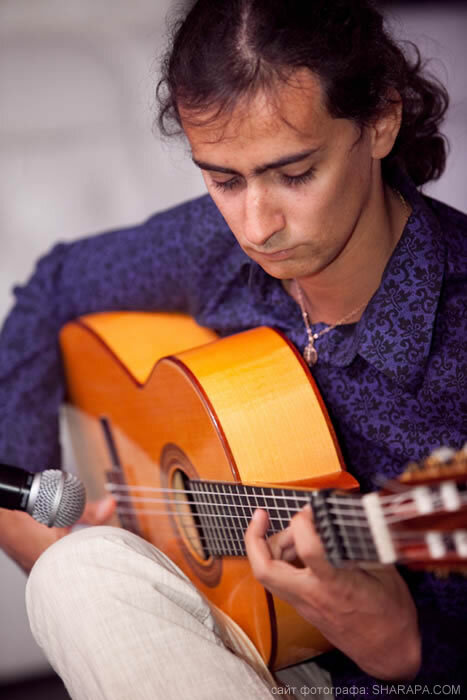 Flamenco, classical, fingerstyle, ethno fusion music. Location: Malcolm Moss' house, Udaipur. Location: Udai Kothi, Udaipur, Rajasthan, India. 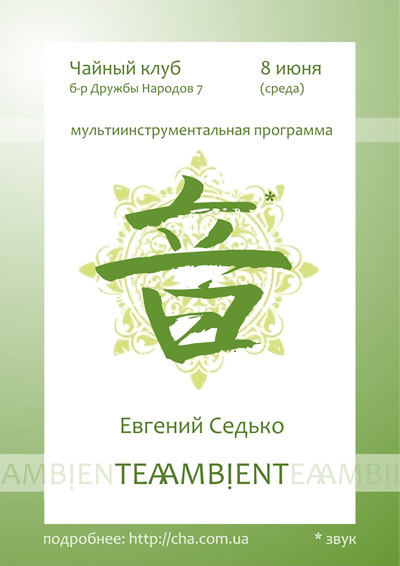 Tea Ambient new age music concert in Tea Club (Kiev, Ukraine). 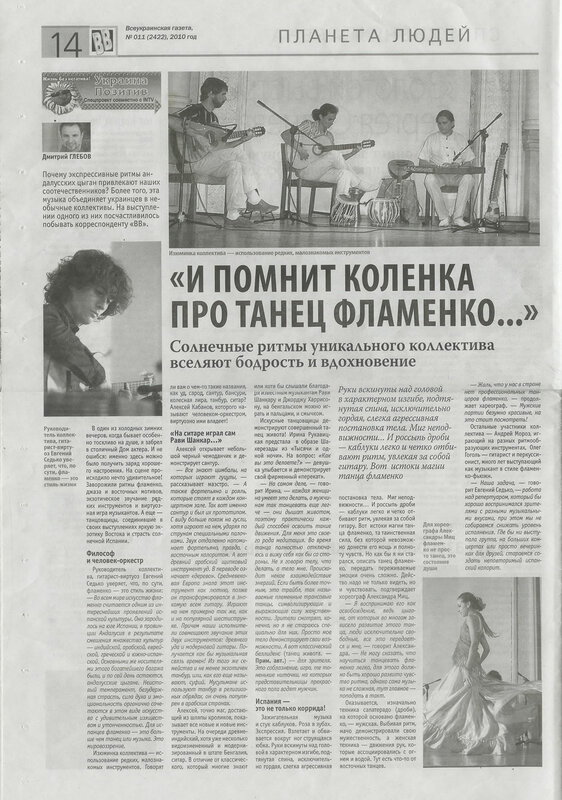 Participance in GOGOLFEST (Kiev, Ukraine) as an indian tabla player with Orhan Agabeyli (darbouka). 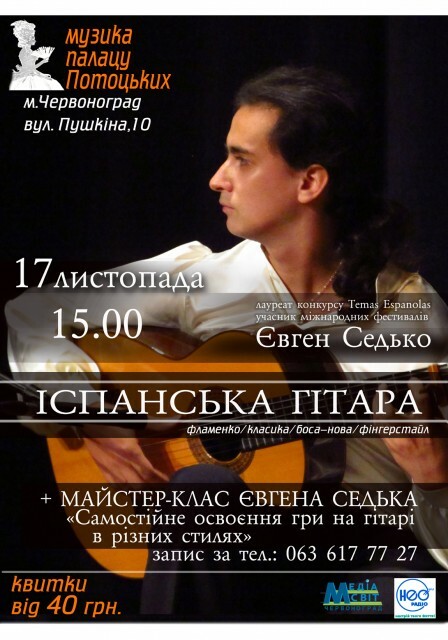 Participance in ТруханыOFF fest (Kiev, Ukraine) as a flamenco guitar performer. Participance in Vatra fest (Vatra, Moldova) with Toporkestra as a darbouka player. Participance in Barabanum Fest (Kiev, Ukraine) as an indian tabla player. 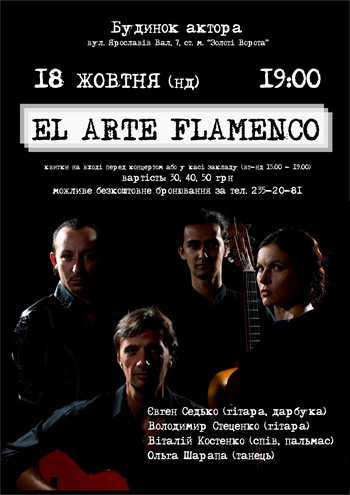 Flamenco trio performance on the festival Kraina Mriy (Kiev, Ukraine). 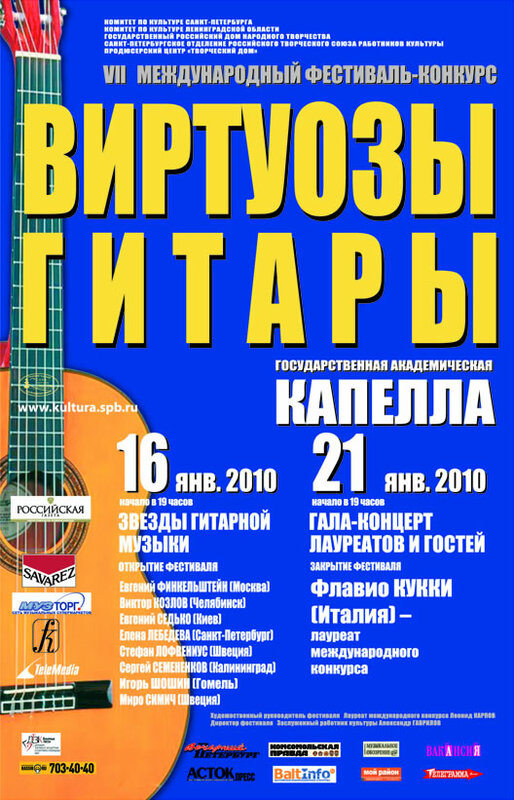 Participance in GUITAR TRIUMPH concert (Kazan, Russia). GREEN PARK project performance in "Kult Ra" club, (Kiev). 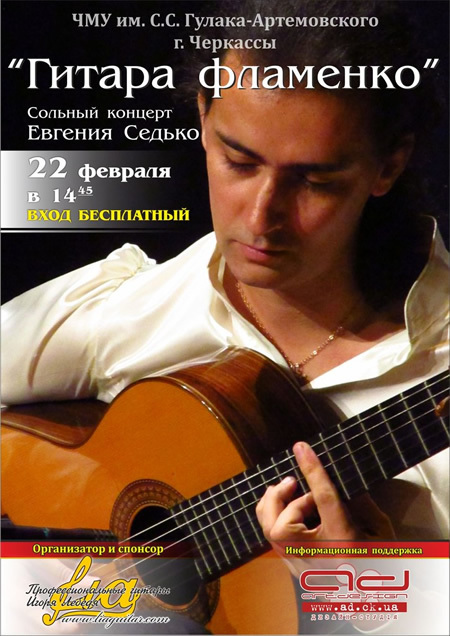 Participance in concert "My Spain" (Kiev, Ukraine). 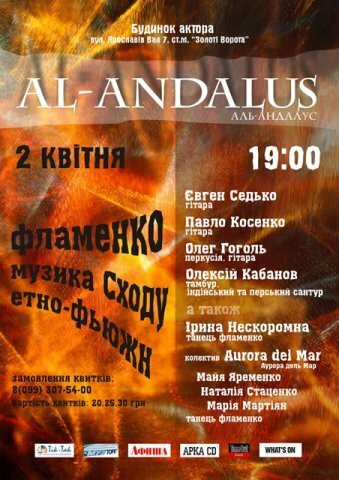 NOCHE ANDALUZA (Kiev, Actor Hall). 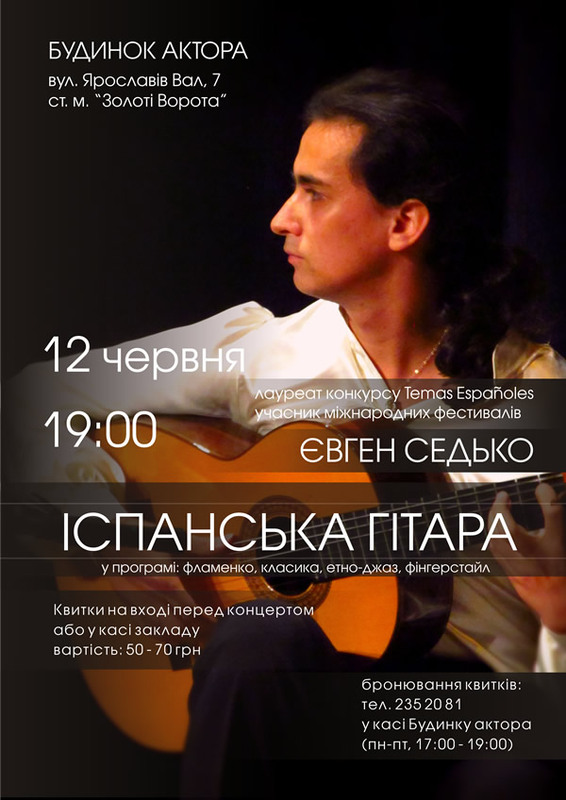 Concert with classical guitarist Ivan Yevtushenko, concert hall of City Musical School №1 (Chernihiv, Ukraine). 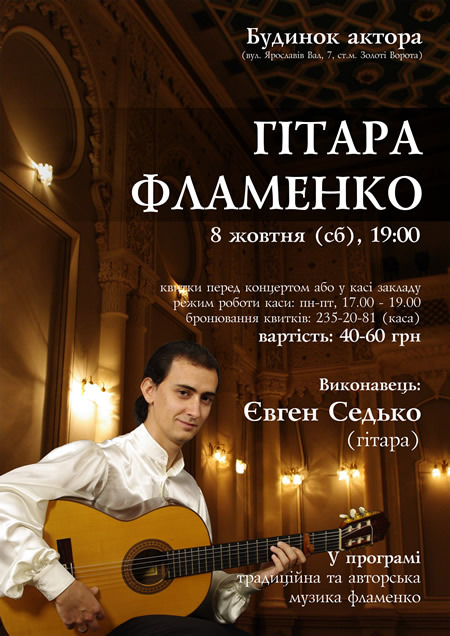 Solo guitar concert in Pototsky palace (Chervonograd, Ukraine). 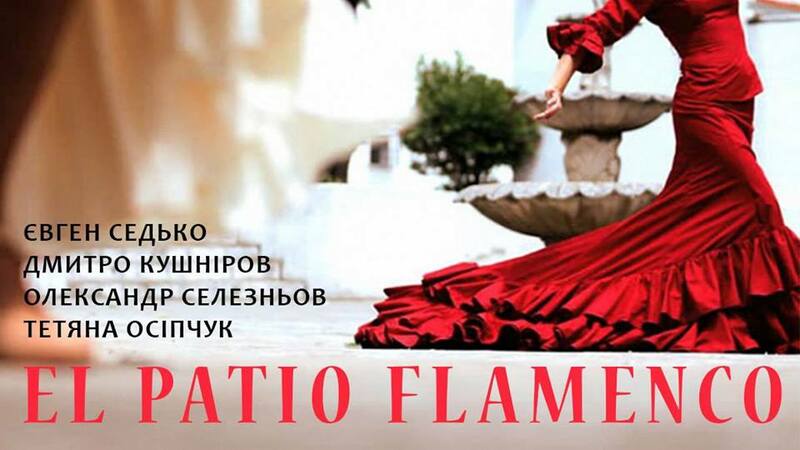 Participation in "Fandango de Ucrania" flamenco festival (Lviv, Ukraine). 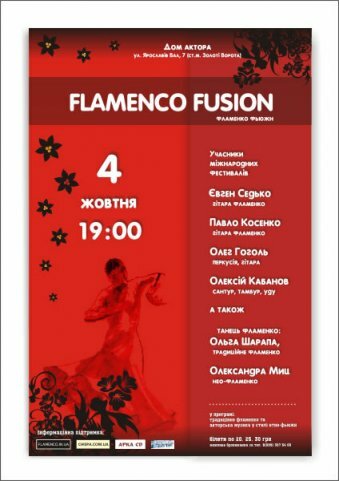 "SPANISH CLASSICAL MUSIC AND FLAMENCO" (Kiev). 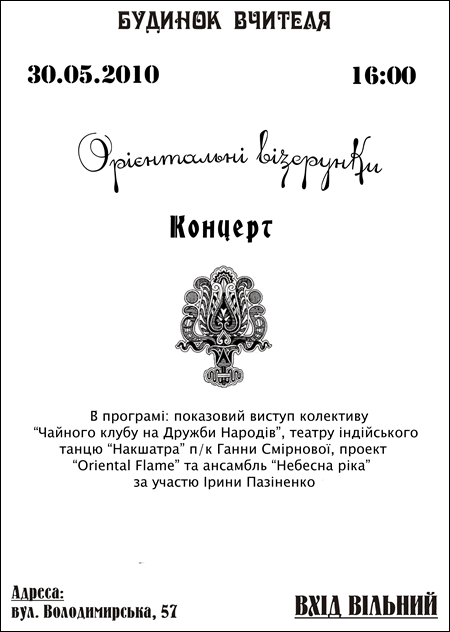 Виктория Гаврик (фортепиано), Евгений Седько (гитара), Елена Пяткина (танец), Орхан Агабейли (перкуссия), Лилия Фернандес (вокал), Марина Кучма (скрипка). 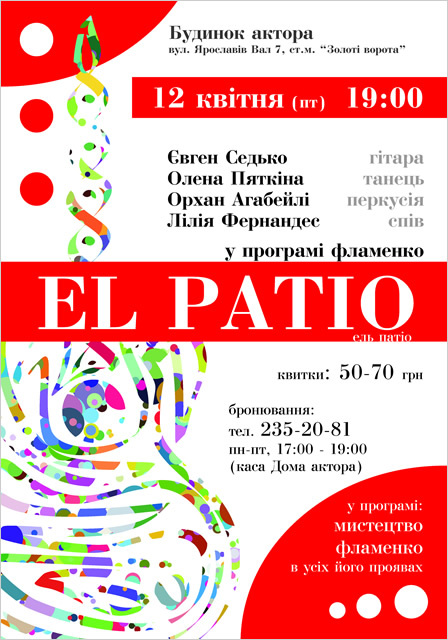 "EL PATIO" flamenco concert (Kiev). 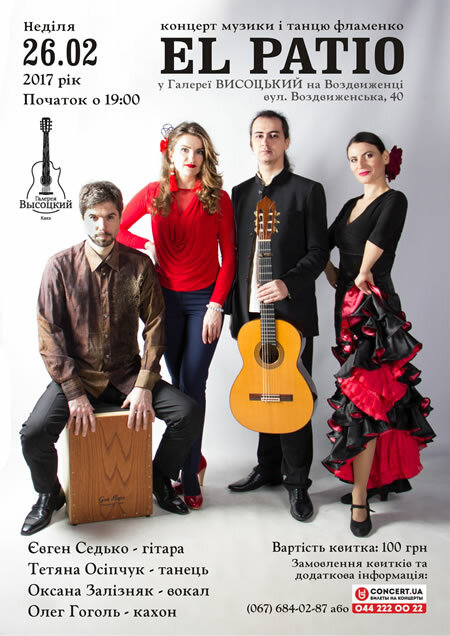 Eugen Sedko (guitar), Ele Piatkina (dance), Azucena Fernandez (vocal), Orhan Agabeyli (percussion). 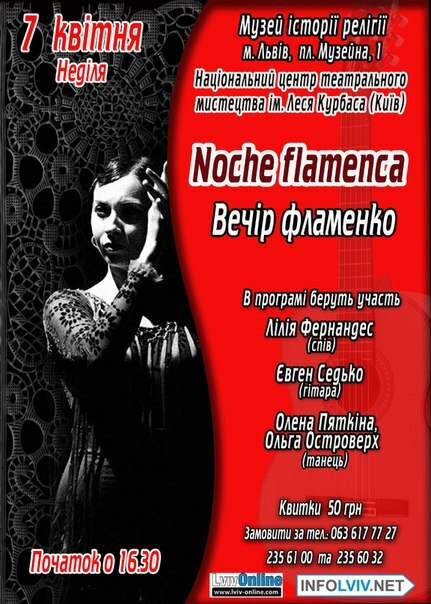 "Noche Flamenca" flamenco concert (Lviv, Ukraine). 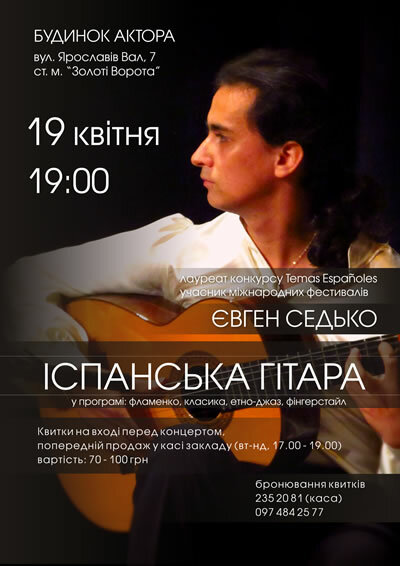 Participated in "SPANISH CLASSICAL MUSIC AND FLAMENCO" concert(Kiev). 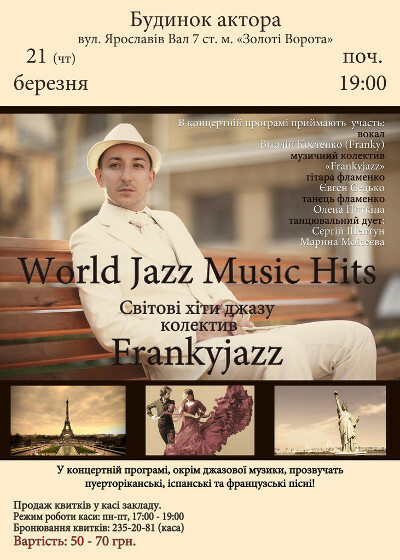 Participation in concert of FrankyJazz band (Kiev). 19 dec 2012 , Tea Club. Guitar solo concert. 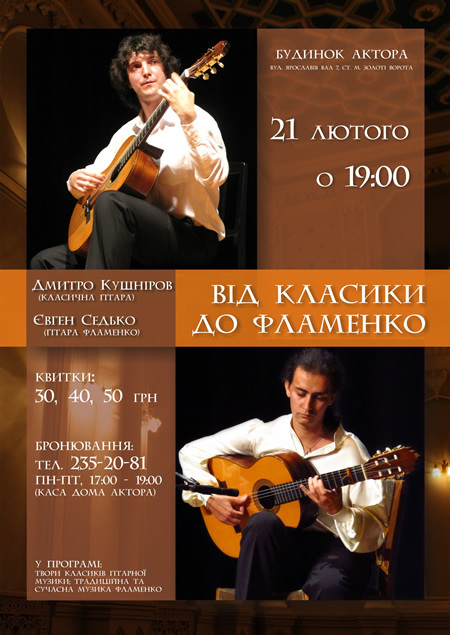 Flamenco, classics, fingerstyle, bossa nova. 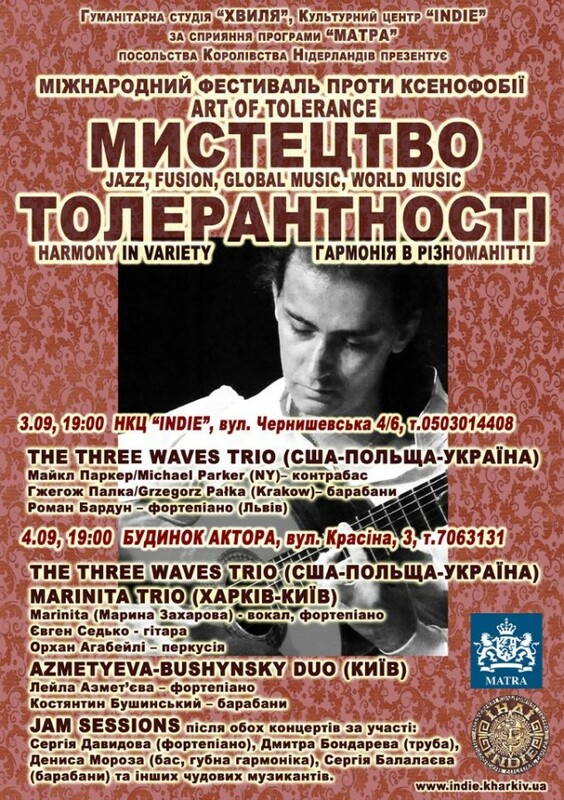 Concerts with Marinita Trio in Ukraine. 8 aug 2012 , Tea Club. 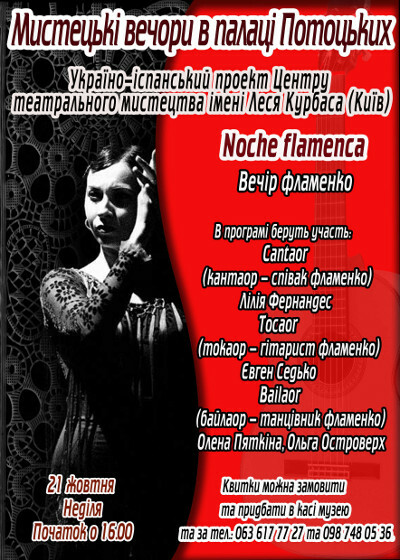 Participance to flamenco festival Fandango de Ucrania (Lviv, Ukraine). 13 jun 2012, Tea club. 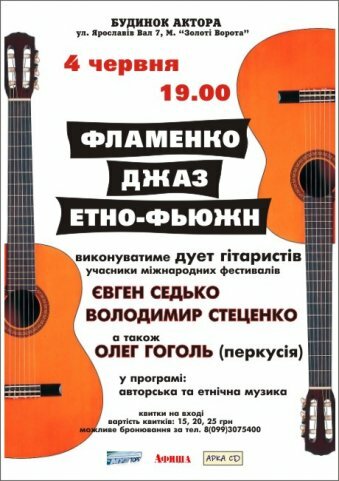 Solo guitar concert. Flamenco, classic, fingerstyle. 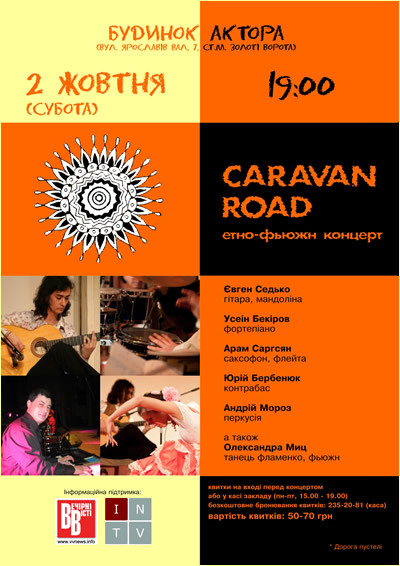 Concert of Marinita Trio: Marina Zakharova (vocal), Eugen Sedko (guitar), Orhan Agabeyli (percussion). 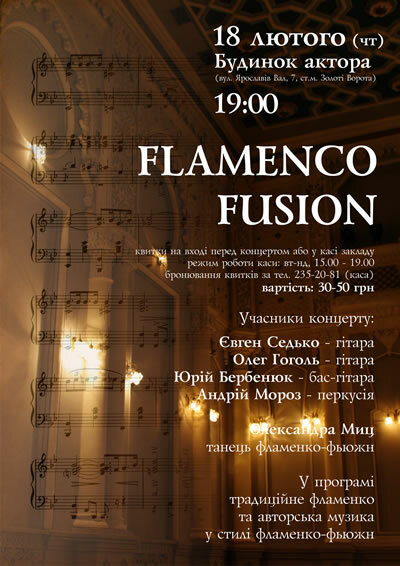 New flamenco program "Ecos de Triana" in cultural center "Indie"
Participants: Elena Piatkina, Natalia Pechenitsyna (flamenco dance); Irina Laptinova (flute); Azucena Fernández (cante); Eugen Sedko (guitar); Constantin Baydush (percussion); Anna Borovska (dance), Yegor Yesyunin (guitar), Maria Malakey (vocal). 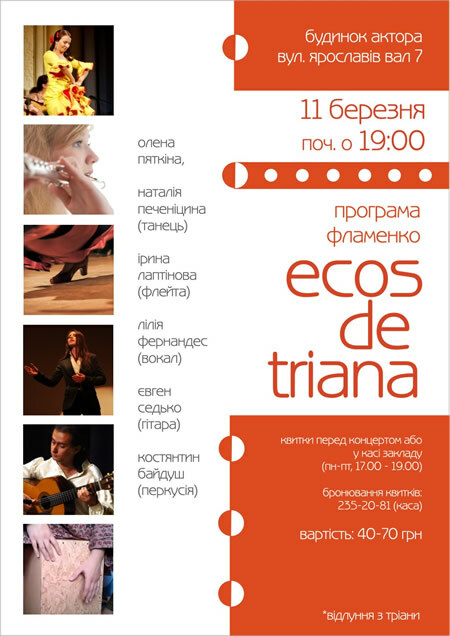 New flamenco program "Ecos de Triana" in Actor Hall (Kiev). 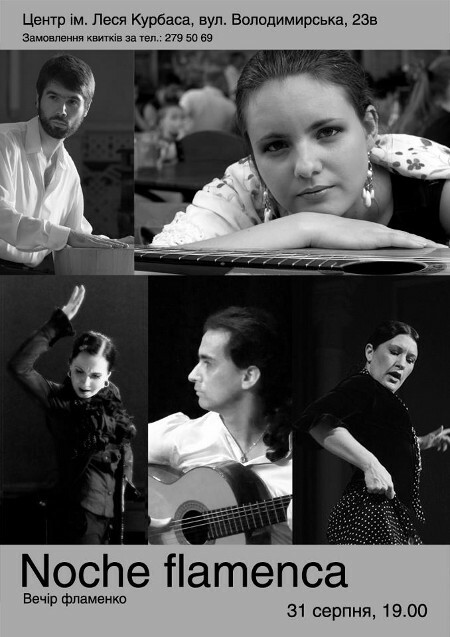 Participants: Elena Piatkina, Natalia Pechenitsyna (flamenco dance); Irina Laptinova (flute); Azucena Fernández (cante); Eugen Sedko (guitar); Constantin Baydush (percussion). 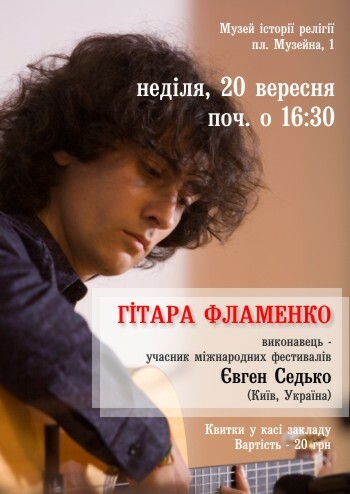 Solo concert in Cherkassy (Ukraine). 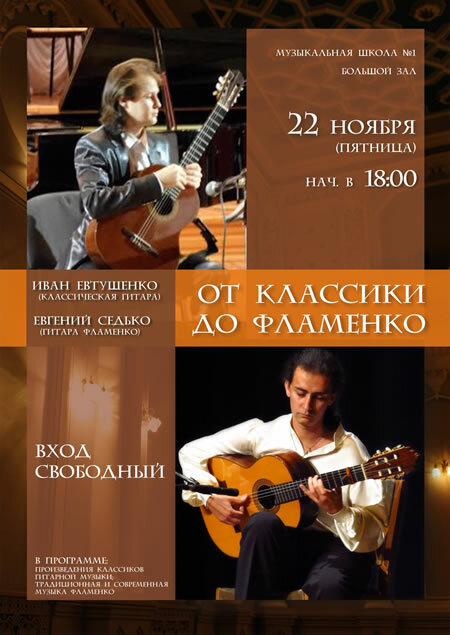 "From classic to flamenco", concert with classical guitarist Dmitry Kushnirov. 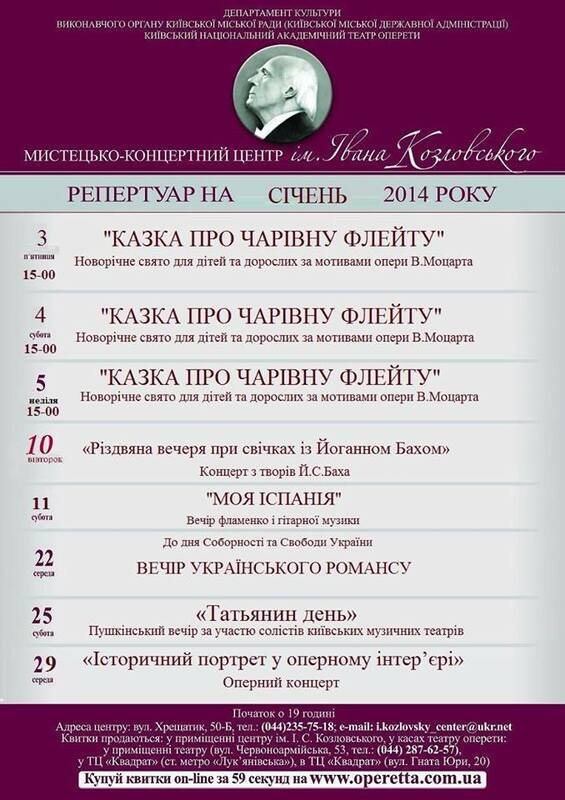 Kiev, Actor Hall. 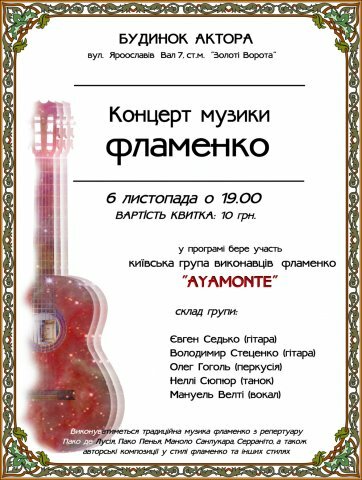 Guitar concert in Tea Club (Kiev). 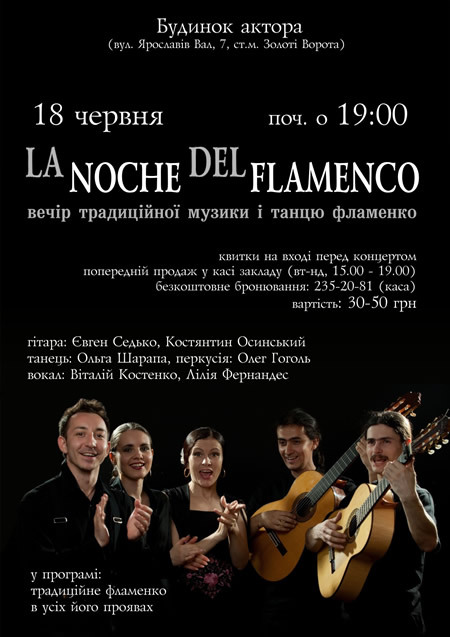 Participation in concert "Spanish Night" with stars of world opera: Eteri Lamoris, Guillermo Contreras, Sergio Escobar. Multi instrumental concert in Tea Club (Kiev). Ethnic and new age music. Mandolin, guitar, kaval, sopilkas, darbouka, Loop Station. 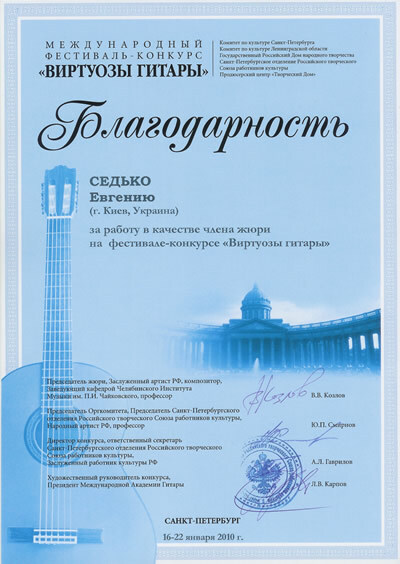 Guitar programme by Eugen Sedko Las Seis Cuerdas with invited artists (Vitaliy Kostenko - vocal, Elena Piatkina - dance, Konstantin Krasnoukhov - cajon) and students. 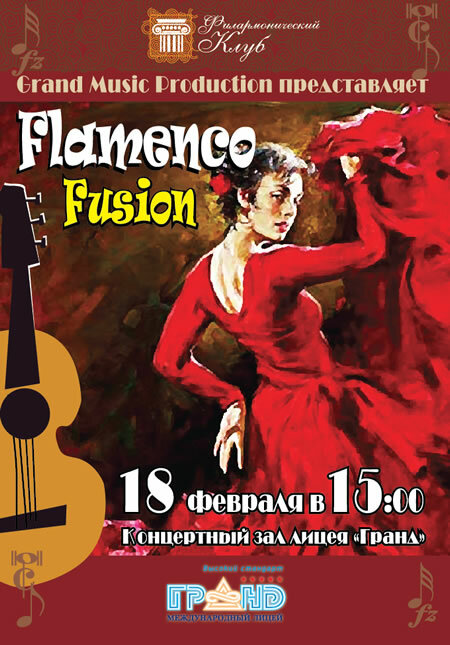 Traditional flamenco, classical and fusion music. Participants: Eugen Sedko, Emrah Elban, Azucena Fernandez, Yuri Berbenyuk, Andrey Moroz; dance: Alexandra Myts, Elena Piatkina. 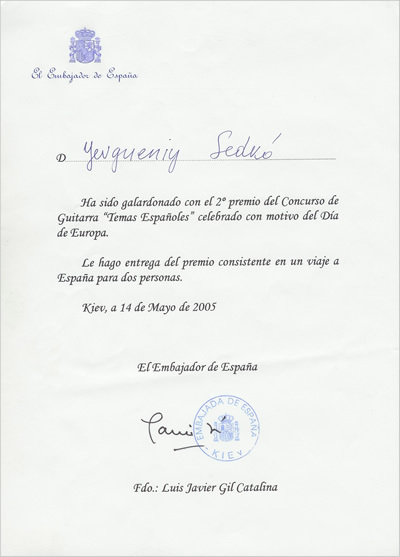 Participants: Eugen Sedko, Elena Piatkina, Liliya Fernández, Vitaliy Kostenko, Oleg Gogol. Participants: Eugen Sedko, Usein Bekirov, Aram Sargsyan, Yuri Berbenyuk, Andrey Moroz, Alexandra Myts. 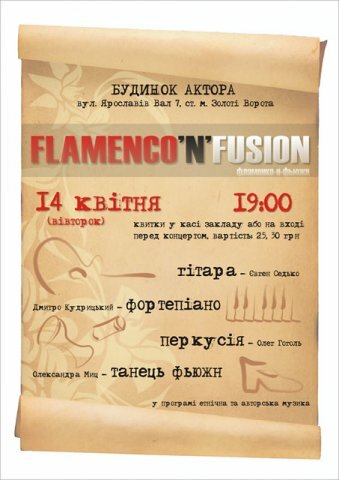 Participance in concert of romance music in "Chocolate hall"
Organized by Embassy of Spain in Ukraine and "Escuela flamenca" dance studio. 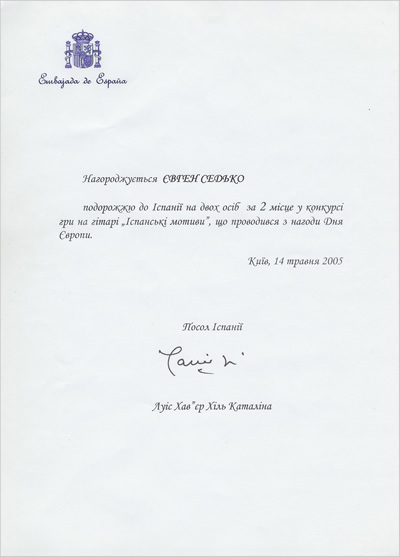 Accompainment section: Eugen Sedko, Pavel Stepanovich, Vladimir Stetsenko. 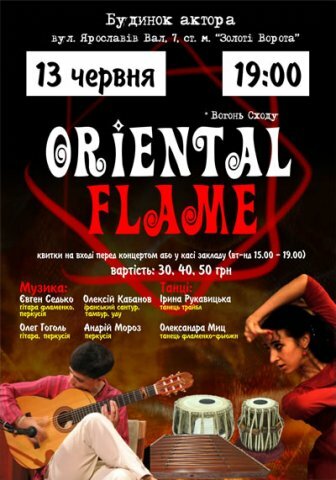 Concert of oriental music and dance in Kiev "Teacher's hall"
Project Оriental Flame represented by Alexey Kabanov (sitar, sarod, persian santoor), Eugen Sedko (tabla, mandolin), Asya Samitova (tabla). 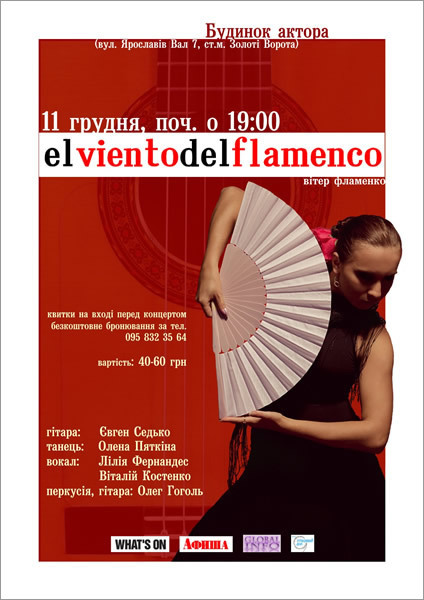 Traditional flamenco performed by Eugen Sedko and Konstantin Osinskiy. Alexey Kabanov (persian santoor, esraj), Eugen Sedko (tabla, guitar, mandolin). Traditional oriental music, ethno fusion. 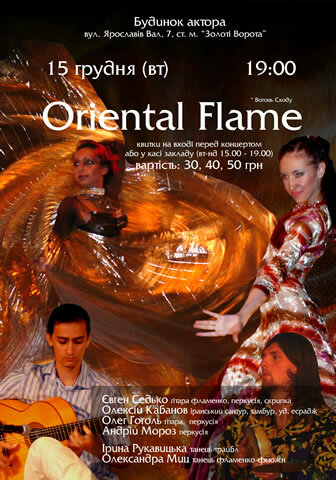 Indian, Romanian, Russian, Manouche, Flamenco music and dances. 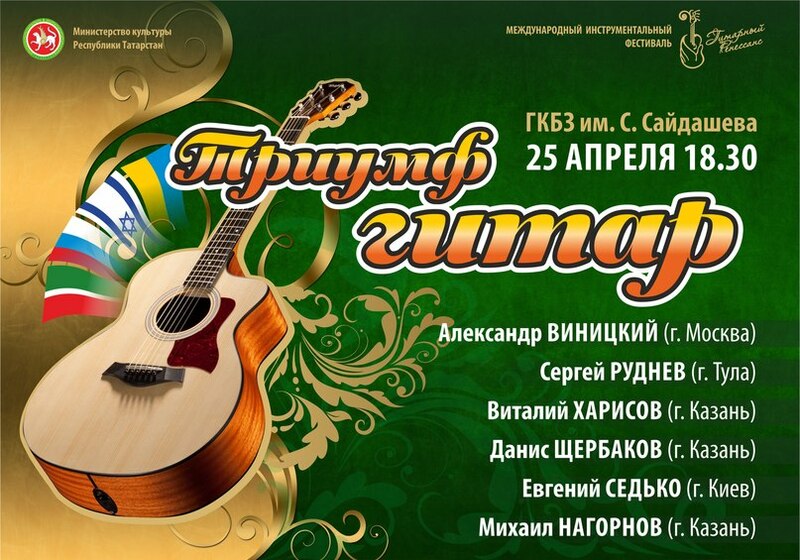 participating in the Spanish guitar competition Temas Españoles organized by Embassy of Spain in Ukraine, second prize. 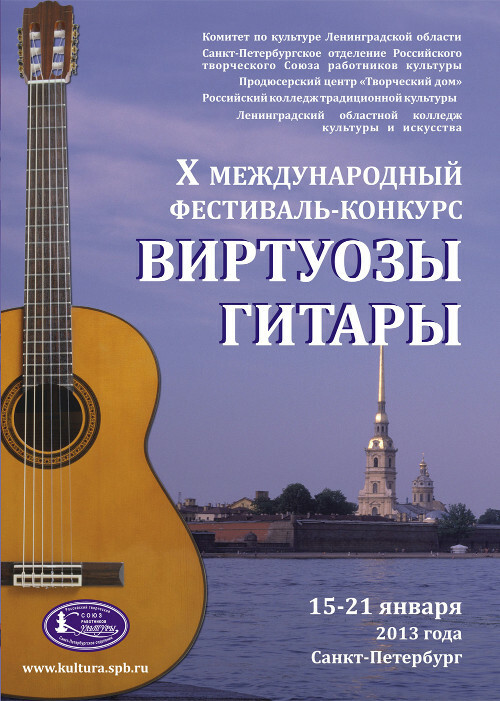 First prize received by classical guitarist Maria Sharuyeva. 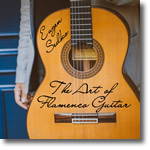 "The Art of Flamenco Guitar"